So, does Sinn Fein want a border poll as soon as possible or at some indefinite date in the future? Voters, including ardent party members, could be forgiven for being confused about the republican party's policy on a united Ireland referendum. 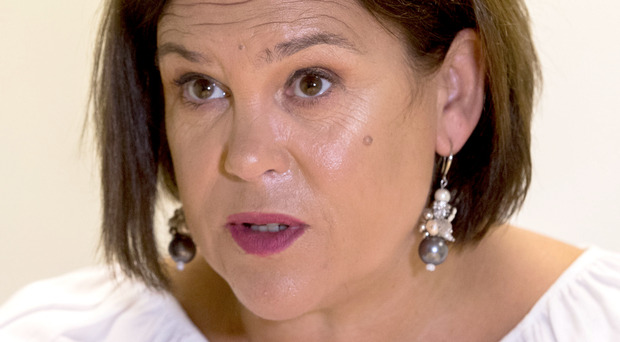 For leader Mary Lou McDonald's assertion on Monday afternoon that a chaotic or very hard Brexit would not be the right climate for a border poll was directly contradicted by her yesterday morning, when she said that the party wanted to see a referendum as soon as possible. Whatever Sinn Fein may say, this was a major blunder by its president, who is regarded as one of the most professional and sure-footed members of the republican hierarchy. One explanation may be that as someone who has spent all her career steeped in politics south of the border, her reflex is naturally attuned to what Sinn Fein wants its electorate there to hear. While there may be growing support - but not majority support - for reunification north of the border, people in the Republic see it as more of an aspiration rather than a compelling issue. But Ms McDonald heads the only all-Ireland party, and has to consider two very different constituencies when pronouncing on policy. Her predecessor Gerry Adams was able to ride both horses, as it were, because Sinn Fein was more northern-centric under his leadership. And it seems that while she was his anointed successor, he may well have made an urgent phone call to her to change her mind on the border poll statement. Mary Lou being the new president of Sinn Fein and Michelle O'Neill, being northern leader, means the party has a softer image, hoping to consign its hardmen image to history, but Mr Adams hasn't gone away, you know. This was a hugely embarrassing policy U-turn for Ms McDonald and Sinn Fein. It's little wonder that unionists have been crowing with delight. Sinn Fein has been shown up as a party unsure of which way to face given that it has to be hardline republican in the north and a potential coalition partner in the Republic, where policy rather than ideology is a key factor. It is a party that is at its strongest when it is able to deliver soundbite policies and where it portrays itself as the defender of a beleaguered people, standing up against a party of potential oppression. It doesn't do nuanced politics well. Hence its red faces today.